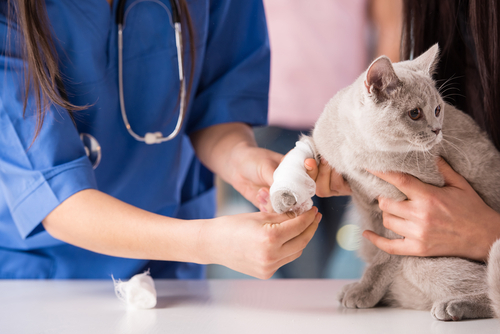 Even for those who haven’t recently entered the field, seasoned veterinary professionals may find themselves with compassion fatigue, and even guilt and grief following the euthanasia of an animal. Steve Noonan, a career coach and veterinarian, stated that between the economy, the demand for performance, and terminating life, work can be incredibly stressful. In lieu of all this, it becomes even more difficult to take care of one’s personal needs, as work demands more and more. If you haven’t already, begin taking care of your mental, physical, and spiritual health. Do not allow your work to place you on the backburner. Put simply, the best performance you can give is at your best – why neglect the very things that ensure you reach and maintain this level? Veterinary care is an incredibly demanding profession, with many spending nights and weekends to tend to sick, injured, or dying animals. This type of care is critical, but it’s important to remember that a doctor cannot perform their best work if they are under too much stress to function appropriately. Take care of yourself. Find ways to make your mental health a priority. You – and your patients – will be thankful you did. « How Might First Responders Experience PTSD And Depression?